“Industry 4.0”, one of today’s hottest topics, deserves our attention. It potentially will impact nearly every major manufacturing operation around the globe. Germany and China launched their respective “Industry 4.0” and “Made in China 2025” strategies with the similar purpose of upgrading their industries and advancing the goal of smart manufacturing. Smart manufacturing optimizes the entire supply chain to boost productivity and create higher-quality products, while also improving energy efficiency and workplace safety. Manufacturing industries worldwide — including the plastics and rubber industries — are striving to educate themselves and get up to speed about such strategies, to better position themselves for the next industrial revolution. 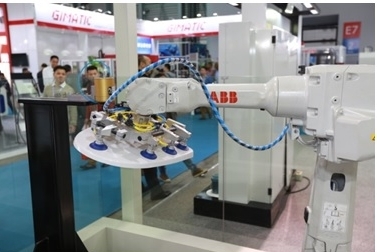 Guangdong Province in Southern China, one of the country’s pivotal bases for plastics and rubber product manufacture, is in need of industrial transformation and upgrading through smart manufacturing. The manufacturing industries of Guangdong Province face numerous challenges, including rising production costs, and tend to focus on making basic, low-value-added products while not delivering the more sophisticated, higher-end products needed to meet customers’ demands today. Such conditions only underscore the need for these sectors to transform and upgrade themselves through smart manufacturing. Building on the success of the first edition of “Industry 4.0 Conference” last year in Shanghai, CHINAPLAS will once join with VDMA, the German Engineering Federation, to present the “2nd Industry 4.0 Conference” at this year’s show in Guangzhou. Speakers from leading global plastics and rubber enterprises and application industries, including from the automotive, electrical & electronics and packaging industries, will share their in-depth insights about smart manufacturing. Overseas and domestic enterprises alike, including those based in Pearl River Delta Region, stand to benefit from this event. The key to Industry 4.0 is standardization. It aims to enhance the efficiency of technological innovation and business model innovation by standardizing smart factories. That makes the development and adoption of such standards prerequisites for helping modern manufacturing enterprises to deliver high-quality products faster, and at lower cost, thereby allowing them to remain competitive. To properly implement an Industry 4.0 strategy and optimize their manufacturing processes, all companies need to set up a series of standards related to cost, availability and resource consumption. In the “2nd Industry 4.0 Conference”, VDMA President Thorsten Kühmann will share his insights in respect to the industries’ establishment of standards. A number of professionals from end-user markets will also deliver their interpretations on standardization of smart manufacturing and smart factories. The “Made in China 2025” strategy initiated by the Chinese government aims to comprehensively upgrade China’s manufacturing industry. It embraces the concept of Industry 4.0 and opens itself to advanced ideas from countries such as the United States, Great Britain and Germany. Both the “Industry 4.0” and “Made in China” strategies emphasize smart manufacturing and cyber-physical systems in industrial development, while the latter focuses on addressing the specific challenges faced by the Chinese market. To help conference participants better understand how to realize smart manufacturing in China under the New Normal economic situation, academic researchers from Tongji University will be invited to interpret the standards related to the “Made in China 2025” strategy. Every end-use sector is striving to keep pace with Industry 4.0. Some enterprises have already accumulated proven solutions and abundant experience for smart manufacturing. 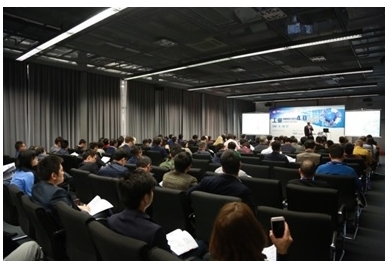 In the “2nd Industry 4.0 Conference”, these enterprises will share their best practices to inspire other enterprises, whereas renowned enterprises from automotive, packaging and the electrical and electronics industries will present their technologies and solutions related to smart manufacturing with real case studies from their respective industries. Besides the conference, CHINAPLAS 2017 also will present a “Smart Manufacturing Technology Zone” on the show floor to showcase solutions for industrial automation. A wealth of cutting-edge exhibits will be presented to demonstrate the innovative results and progress toward smart manufacturing. Apart from the robotics, factory automation systems and components that were featured in the last edition of CHINAPLAS, visitors will have a chance to witness a smart production line and smart factory solutions from leading suppliers, including Bosch Rexroth, Siemens and Demark. 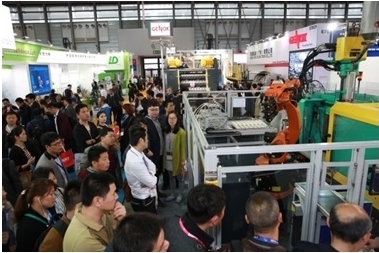 There also will be a sub-zone called the “3D Technology Zone” set up in the “Smart Manufacturing Technology Zone”. The sub-zone will bring together well-known companies in the field of 3D printing technology, including 3D software system supplier Autodesk from the USA, 3D printer and application solution suppliers Cangming and Ureal, and 3D printing consumables supplier Renolit. The zone’s show-floor exhibits, together with the “2nd Industry 4.0 Conference”, will combine to offer an innovative platform to facilitate smart manufacturing. CHINAPLAS 2017 will be held at the China Import & Export Fair Complex, Pazhou, Guangzhou, PR China on May 16-19, 2017. A one-day pass costs RMB 30 and a four-day pass costs RMB 50. To enjoy free admission, please visit www.ChinaplasOnline.com/prereg to pre-register before May 9. Visitors who successfully pre-register before March 1 will receive their visitor badge by mail in advance, allowing them to bypass the on-site registration queues. Subscribe to our social media channels and stay tuned! We invite you to follow CHINAPLAS on Facebook, Twitter and LinkedIn where you can share your questions, connect with like-minded professionals and entrepreneurs, and get first-hand tips for visiting the show. 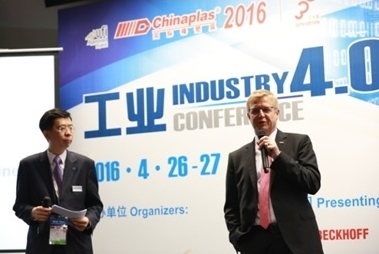 CHINAPLAS launched the 1st edition of “Industry 4.0 Conference” in Shanghai in 2016 with VDMA, the German Engineering Federation. The conference was well received by more than 600 professional visitors. Informative speeches were delivered by representatives from leading global enterprises. CHINAPLAS 2017 is organized by Adsale Exhibition Services Ltd. and Beijing Yazhan Exhibition Services Ltd. and co-organized by China National Light Industry Council – China Plastics Processing Industry Association, China Plastics Machinery Industry Association, Guangdong Plastics Industry Association, Messe Düsseldorf China Ltd., the Plastic Trade Association of Shanghai. The event is also supported by various plastics and rubber associations in China and abroad. First introduced in 1983, CHINAPLAS has been approved by UFI (The Global Association of the Exhibition Industry) since 2006. CHINAPLAS has been exclusively sponsored by the Europe’s Association for Plastics and Rubber Machinery Manufacturers (EUROMAP) in China for the 28th time. CHINAPLAS is currently Asia’s No. 1 and the world’s No. 2 plastics and rubber trade fair.